Pardon my wholly lack of trust, in this most recent government announcement on Canadian federal shipbuilding plans. Could this issue be flogged any more by politician for cheap public thrills. Countless times over the last twenty years, we have heard these announcements, and year after year, millions of dollars are spent on design and consultations and general bureaucracy, and ultimately end up just like a fart in the wind. I still would not believe the government’s position on a shipbuilding project, until the ship is out of the shipyard, floating and upright. Even then, it will probably get gobble up in red tape and tied to wall for some usual reason, like, lack of funds or people to operate it or maintain it. Ok, so I am somewhat cynical, I’ll give you that. But come on, does the government (whichever one) actually believe it has any credibility on this file. Usually they trumpet these announcements just before an election, drives up national pride, images of creating jobs and the lot associates with it dance in everybody’s head, only to fall victim to politics and petty what have yous after the elections. Speaking of farts in the wind, they wont think twice about spending a billion dollars on 3 day security party, that is these fat cat summits, yet small coastal patrol vessel for the coast guard, like the “Post Boat” on the west coast, a fiberglass 65 footers, is still in operation 20 years after a replacement was called for and spec’d out. What are we looking there, one perhaps two million, ok, I’ll give you five million, to buy an off the shelf copy to replace one of those boats. Ok, government of the day, I will compromise, I will give you some credit, if you actually turn plans into a contract, and start steel cutting. Otherwise, this is just another political party, spouting off whatever promise to get elected, when it does not have the will to back it up fully. A commitment to positive maritime policies in Canada, a large country surrounded by water, and who’s main income is export of raw materials, begins at a much simpler level – which, from my perspective, there is very little evidence that maritime matters are important to the government. You know what, its getting really tiring to hear these worn out announcements, and you are burning out your workforces, and all those associated, with these impact full decisions, so please… (feel free to enter your own set of expletives here). OTTAWA — The federal government has outlined a new shipbuilding strategy that will cost at least $35 billion and take 30 years to complete. Defence Minister Peter MacKay says he expects to sign agreements with two shipyards within two years to build 28 large vessels and 100 smaller ships for the navy and coast guard. The program will produce equipment that is essential to the Canadian Forces, he said. “We expect to have signed agreements with these shipyards within two years, which should clear the way toward contracts for large-vessel projects that the navy desperately needs,” he said. Several high-profile ship-replacement programs for both the navy and coast guard have been sidelined because cost estimates have come in far above what the Conservative government was willing to pay. Federal officials have tried over the last year to get the country’s notoriously competitive shipyards to agree on sharing the construction. MacKay has often been quoted as saying there was more than enough work to go around. The country’s top military commander told the defence industry on Wednesday that new ships for the navy is his No. 1 procurement need and noted that it has been 14 years since the last major warship was launched in Canada. “We need to cut steel on new ships,” said Gen. Walter Natynczyk, chief of the defence staff. Buying aircraft and tanks, sometimes off-the-shelf, is much easier than building warships which, because of their size, complex designs and high-tech machinery, often take a decade of planning before actual construction begins. To emphasize the need to modernize the Canadian navy, the defence chief pointed to the 5,100-tonne destroyer HMCS Iroquois, which is 38 years old. 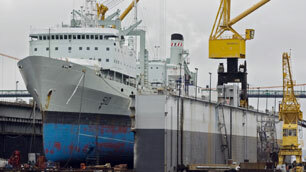 The navy’s two supply ships, HMCS Preserver and Protecteur, turned 40 last year. The federal government began searching for a different approach to the time-consuming construction process after the failure of two high-profile projects in the summer of 2008. 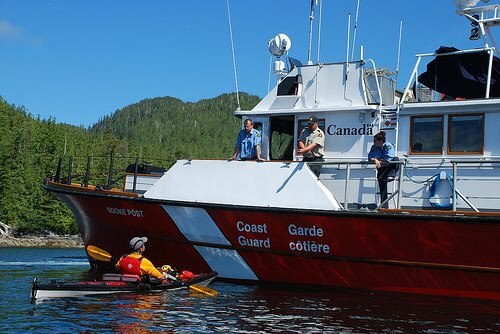 Both National Defence and Fisheries and Oceans were sent back to the drawing board on a project for the construction of three naval joint supply ships and coast guard mid-shore patrol boats when bids from industry came in far over the budget the Conservatives had set aside. Senior defence officials pledged at the time to restart the project within a year, but they were hobbled by the lack of full-fledged shipbuilding strategy. I agree it's hard not to be cynical. I do put a slightly different tilt on it however, since it makes so much sense after all these years of industry and outsiders demanding action. You are right governments have very poor credibilty, since they are made up of "inlanders" who've never seen anything bigger than a canoe in their lives, and shipbuilding has been viewed (wrongly) as a "sunset industry." Perhaps as the perpetual optimist I think this just might work. But be prepared for screaming when Newfoundland does not secure a centre of excellence, and be prepared for supreme court challenges from the disaffected and litigious shipbuilders. Will they never learn to stop raining on their own parades? yes that certainly has a history of playing into it as well. Given the ordeal of dealing with PWGSC since Harper has come into power and put his stranglehold rules in place, I think that this will be the easiest way that ships can be built by the government.